Animals do not hire lobbyists. It falls to us to speak for them. Imagine the shores of Puget Sound without river otters or never seeing a bald eagle gliding above the trees of Seattle. This is the reality we face as the Endangered Species Act faces unprecedented attacks. The very foundation of the Endangered Species Act is being undermined by proposed rule changes that would dilute scientific consensus and seriously undermine the effectiveness of this historic law. Right now, the proposed rule changes are open for public comment until Sept. 24. One rule change would specifically allow economic and other impacts to be considered when listing a species as endangered. Currently, only the best available scientific and commercial information regarding a species’ status is considered. Another change would affect how agencies designate “critical habitat” for threatened and endangered species, making is easier to shrink the amount of critical habitat a species needs to recover. Online: zoo.org/esa, or try st.news/esa. Right now, the Endangered Species Act defines a threatened species as one that “is likely to become an endangered species within the foreseeable future throughout a significant portion of its range.” The proposed rule changes would create a framework for determining what “foreseeable future” means on a case-by-case basis. That sounds like a reasonable update until you consider it will likely prevent the environmental impacts from climate change to be considered when listing a species as threatened or endangered, hamstringing our efforts to save species that will be most threatened by our warming planet. The last rule is being disguised as a way to bring U.S. Fish and Wildlife in line with NOAA Fisheries, but the effect of the change will be that threatened species would be prohibited from receiving the same protections as endangered species. Instead of “an ounce of prevention is worth a pound of cure,” this rule change eliminates both the prevention and the cure for threatened species until they become endangered. According to U.S. Fish and Wildlife, the Endangered Species Act boasts a 99 percent success rate — bringing species back from the brink of extinction such as bald eagles, sea otters and humpback whales. The Endangered Species Act stands as a law of last resort. When every other attempt to rescue a species has failed, the Act provides protections to ensure these vulnerable creatures are not lost forever. The public recognizes this. The law passed Congress with enormous bipartisan support with only four votes against. A recent poll conducted by The Center for Biological Diversity found that 67 percent of respondents wanted the act strengthened or left as it is, and 90 percent of the public supports a strong Endangered Species Act. This push by special interests to take decisions for saving species out of the hands of scientists presents a troubling crossroads for our country’s legacy of environmental protection enshrined by the Endangered Species Act. At Woodland Park Zoo, we are experts at fighting extinction. 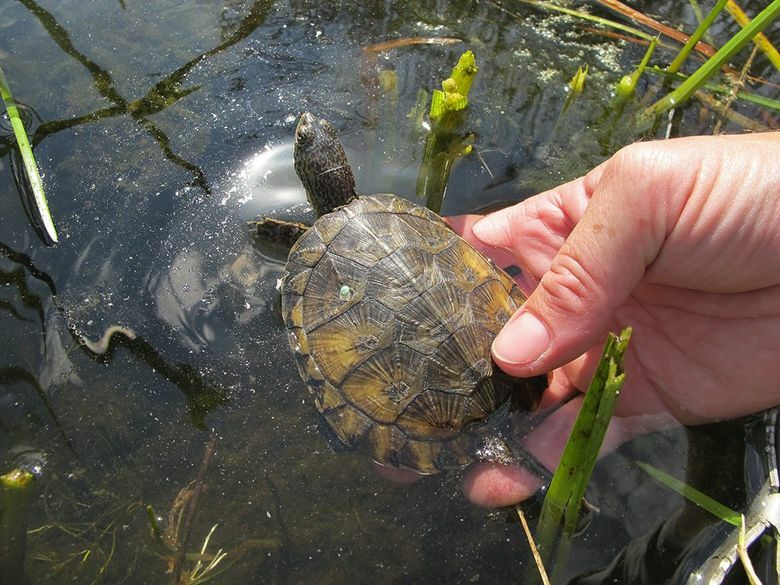 Our recovery program for the vulnerable western pond turtle has kept this species alive in our state. Our zoo’s Oregon silverspot butterfly recovery program is one of the only reasons why this threatened species hasn’t gone extinct. Zoos create a path to the future for endangered species, and the Endangered Species Act is crucial to that effort. Humans are one species out of millions on our planet. No living creature exists alone in a vacuum. Every animal exists as part of a global system that uses, recycles and refreshes the basic necessities for life. The act serves as a crucial safeguard for biodiversity on our planet. Changing legislation as effective as the Endangered Species Act risks our clean air, clean water and the wild spaces that each of us has a right to enjoy. To do so for the benefit of a select few special interests will not just harm species on the brink of extinction but all of us. Animals do not hire lobbyists. It falls to us to speak for them. The Endangered Species Act is the most effective tool we have to do so. Please take a moment to join Woodland Park Zoo in urging the federal government to rescind the proposed rule changes impacting the Endangered Species Act. You can do so at www.zoo.org/esa. Alejandro Grajal is president and CEO of Woodland Park Zoo and a board member of the Association of Zoos and Aquariums.